Spectacular luxury home open this Sunday 2pm-4pm. Real estate Louisville has nothing on this incredible 5 bedroom 5 bath home. 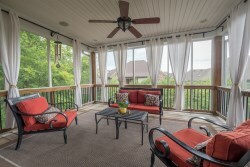 18741 Willington Cir has everything you could want from a home. Spcious bedrooms, open plan living area, and covered deck off the informal dining area. This home also features a huge finished basement which includes a 12 seater bar with granite counter top kitchen, a lounging area with TV's, an indoor multi-level indoor theater, and a table tennis/pool room. 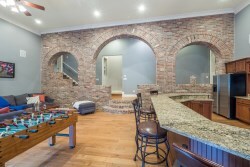 All of this opens out onto the backyard entertainment area which includes a gas grill, outdoor brick fire place, and a half garage for storage. This is a must see home for those interested in real estate louisville. The home is listed for $575,000 and is open this Sunday from 2pm-4pm. Please contact Scott Boehnlein of Family Realty if you have any further interest.